Update: Cleartrip Response to my feedback added at the end of post.. I have written about my exposure the Cleartrip’s Activities concept during BNLF event in Mumbai. I had got a coupon that entitled me to Rs 1500 worth of cleartrip activities. This post explains my experience trying to redeem that coupon. 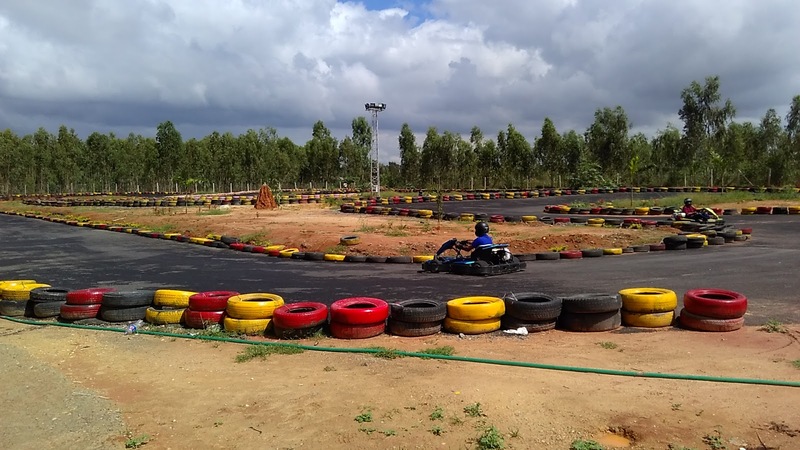 - Collection of activities in BLR is huge- some 700+. But few are weekday only, few are too far from BLR, but still overall you are very likely to find a few that will excite you. - Paid 1500 with coupon and Rs 60 by credit card- email received only said I paid Rs 60, no mention of Rs 1500. Because I had the physical coupon and because property owner got SMS about the total amount it was easy to manage. - Overall experience is nice. Try it if you are bored. Cleartrip has very few activities listed in Chennai- the Off-Roading near Mahabalipuram constitutes most of it, but I have already tried it long back and it is not exciting. Few other activities also didn’t excite me. 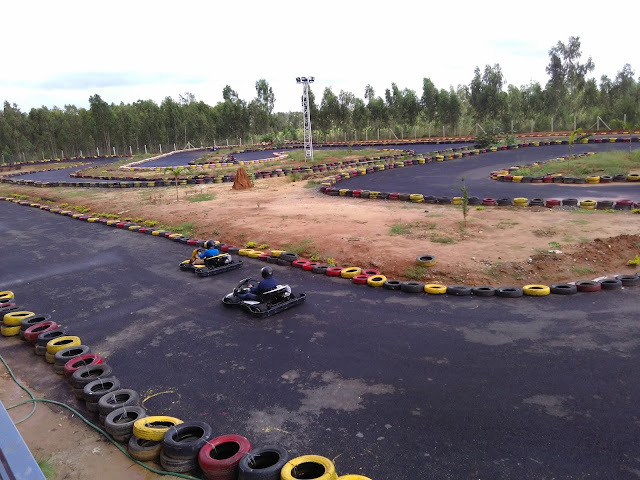 So next best option was to try things out in Bengaluru. So when I went to BLR for a weekend, I decided to make use of this coupon. Of all the activities in Bengaluru (over 700 of them), I zeroed in on an activity called ‘Target Practice’. 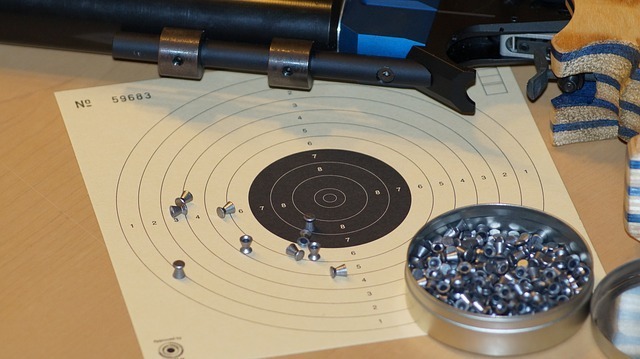 The image showed black and white concentric rings, which are to be fired at with a gun- an activity that will help improve your aiming abilities. (Too many terror incidents these days- you never know when you will have to grab a gun and aim at someone). Ideally I should have booked in advance and then go to the venue, but the cleartrip app wouldn’t let me book for same day (Saturday)- earliest I could book was for Monday, 2 days away. That wouldn’t cut with me. I decided to go to the venue first, without any booking and figure out something. 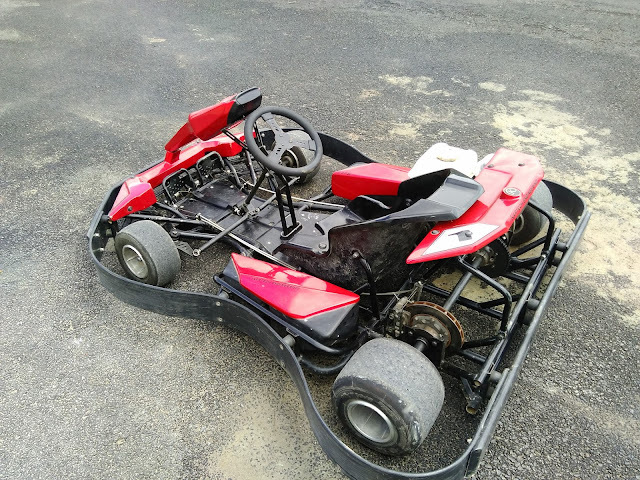 I reached the venue and found that they also have karting, archery and ATVs for offroading. I had Rs 1500 to spend. But the app wouldn’t let me select multiple activities and pay in one shot. It also wouldn’t let me select multiple shooting sessions in one shot. Also on a Saturday morning earliest I could book was for Monday. I explained my situation to the property owner- he was very friendly guy. He said the facility is 3 months old- still some construction was going on. He agreed that as long as I pay Rs 1500 (which activity, which date doesn’t matter) I can take any combination of activities worth that amount. 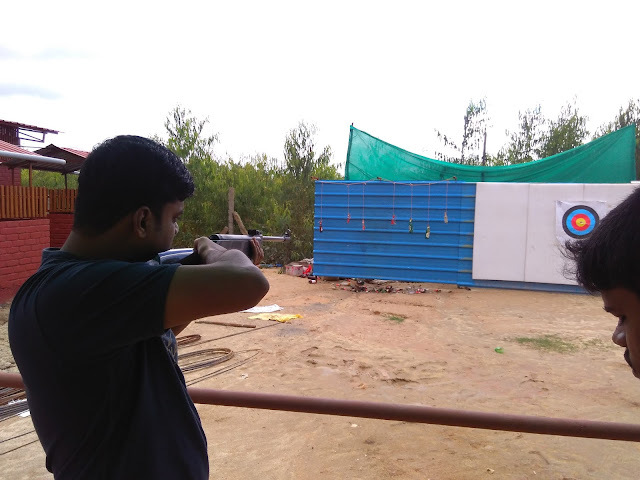 Upon his confirmation I booked for Rs 1560 on cleartrip app, by selecting one session of target practice (Rs 120 each) * 13 people. Entered coupon for Rs 1500 and paid Rs 60 by credit card. But the email I got mentioned only Rs 60 as amount, not Rs 1560. But I guess owner got message on the total amount, so didn’t face any issues. (I was not sure if I could use the coupon multiple times for smaller amount, so had to use it in one shot). Target practice was not exactly as what was shown in the picture in the app (shown above, taken from Cleartrip website). The advertisement had shown concentric circles into which we can shoot- had tried it in Thailand. But what they had in reality was this- empty alcohol bottles hanging against a tin sheet. What is the big difference?- you may ask. There is. If the target was black and white concentric rings, when I fire aiming the centre and if the bullet doesn’t hit the target, I can find out how much correction is required (due to wind or due to calibration error in the gun)- say if it hits two circles right, next shot I can compensate for it by aiming two circles left. But in above setup of hanging bottles and metal sheet, no way one can detect where exactly the bullets landed. So I was a bit disappointed with the setup. Why can’t Red Riders Sports use actual photo? Because of this difference I couldn't make the most of my visit- couldn't use the experience to improve the accuracy of my shooting. Red Riders Sports charge Rs 100 for 10 shots if you walk-in. But on cleartrip, the quote is Rs 120 for 10 bullets. I guess Rs 20 is Cleartrip’s commission. After few rounds of firing and archery, we hit the karting- took Rs 600/12 laps option. Track was long and nice, so had some fun with the machines. Effectively made full use of Rs 1500 coupon. ATV offroad track was not that exciting, so skipped it. Of course Cleartrip has no clue that I finished my activity on Saturday itself- it is reminding me to go today. I saw that Wickedride have listed their Harley Davidsons for hourly rental on cleartrip activities- but weekday only. So for about Rs 1000 you can spend 2 hours with some of the Harleys. Similarly each activity has its own restrictions, cancellation rules etc. Some filter in the app to show “activities I can try right now” will be nice. I have already tried many of the activities listed there, including microlight flying and others. Yet to try milking the cow though. Rates are very reasonable but on big ticket items you might still save a hundred or two if you deal directly with the operator. Also within days of installing cleartrip started spamming me with notifications. I was wondering if I have to uninstall this too. Thankfully it has a setting to turn off notifications, so I enabled it to stop notifications and have decided not to uninstall it for now. 1. Not sure what is the constraint letting users book on same day. Enable same day booking. 4. Ask activity organizers to use real pictures and validate if map positioning is precise. 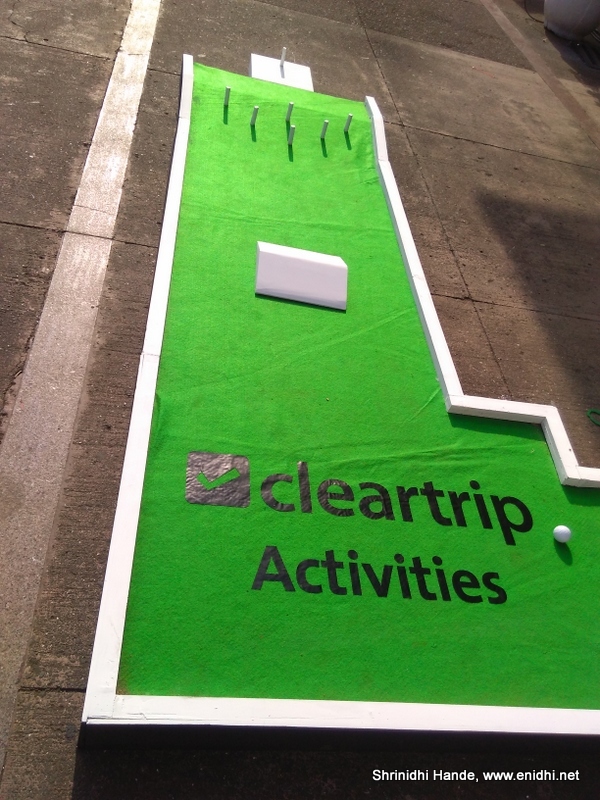 Overall, the Cleartrip Activities is a great concept- one can try new things for nominal price. Do check it out. Unfortunately i t is App only. There are a few limitations, but I am sure it will improve over time. Also it is only an app- there is a limit till which it can help. We need to use our senses to make the most of it. Still it is a great initiative. 2. Filters and sort options coming next week The first set of filters to go live will be by themes like Adventure, Romance, Watersports, Theme parks etc. and activities available by today / tomorrow/ this weekend. Sort options will support sorting results by Price, Popularity & Distance from where the user is. I thank Cleartrip for going through my post and promptly responding to it and implementing suggestions where possible. Best wishes to Cleartrip Activities. Nice info. I have installed and checked it. Need to find the direct pricing and do some fun activities. This was the last thing I was expecting when I read Cleartrip. Interesting!